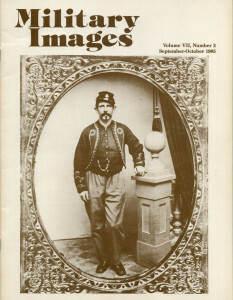 The cover of the issue features a half-plate tintype of an unidentified member of the Boston fire Zouaves, Company I, 30th Massachusetts Infantry. The editor, who is a veteran and military historian, provides his views on the increasing instability in Nicaragua. 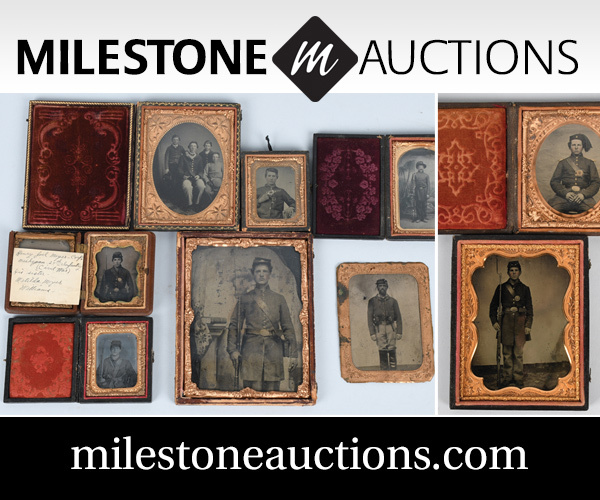 A reader sends in thanks to the generous subscribers who share their images with his renewal, and a reader makes suggestions regarding the continuing influx of fake tintype images at memorabilia and antiques shows. 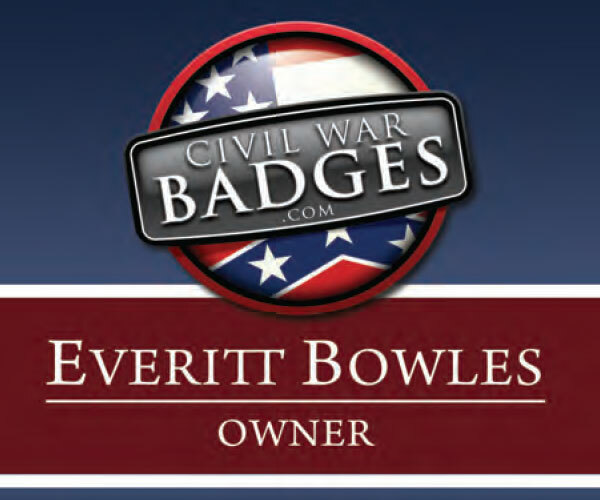 Another reader provides some clarity regarding the Custer badge. Written to his father at New Orleans on April 28, 1862, the letter describes his ship’s role in the taking of the city by Federal army and naval forces, and includes an image of Seaman North and a friend posing with two lady friends. 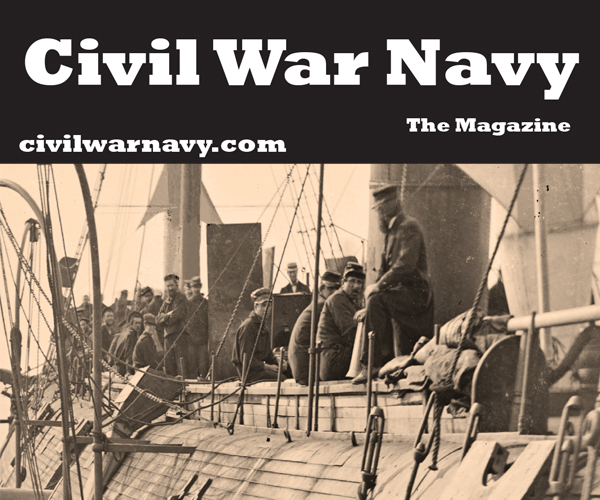 The sailors cut the chain that the Confederates had placed across the Mississippi River as part of their defenses and were then soon subjected to fireboats and shelling. North describes the gruesome deaths of some of his comrades aboard the U.S.S. Iroquois and tells his father that he felt splintering but was not harmed. 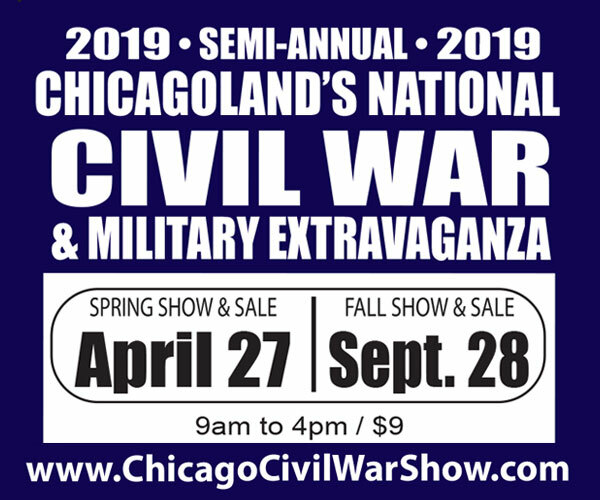 He also described the reaction of Rebel troops in the city when they passed which they scattered “in a shower of grape.” He also discussed the number of Ironclads that were under construction and had been destroyed. Thirteen various images from the collection of Kean Wilcox are presented in this pictorial article. The first is a quarter-plate tintype group image of six Union veteran soldiers enjoying some bread and wine in a relaxed outdoor setting. 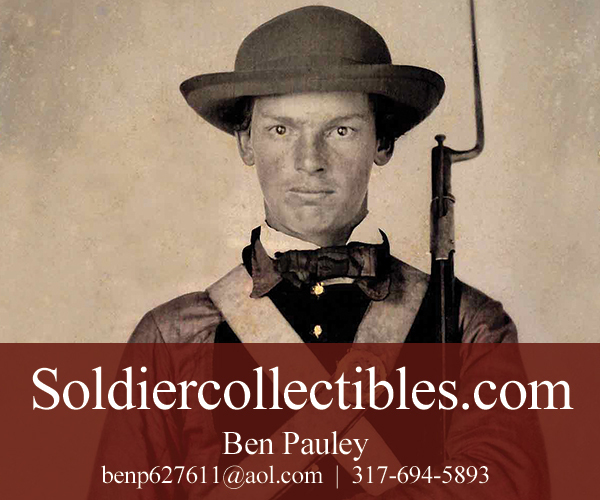 Most of the images are of Union soldiers with their weaponry, such as the soldier wearing his complete field pack with British Enfield or the bugler with his gridiron jacket and Zouave-style kepi. 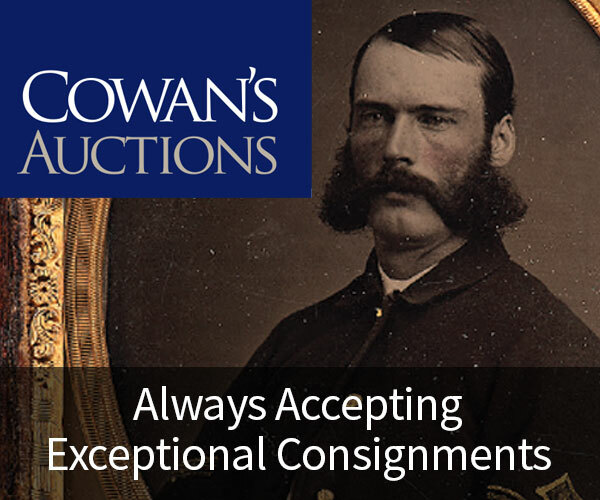 One of the images is of a Confederate wearing his battle shirt, commonly worn in the early days of the war; similarly, the “Boys of ‘61” quarter-plate ambrotype is of three young men, two wearing the smock-style blouse that many Rhode Islanders wore at that point in the conflict. They were rough and tumble, and had a reputation as hard fighting and hard drinking, having once stolen a train when their officers were not on board to take off carousing. 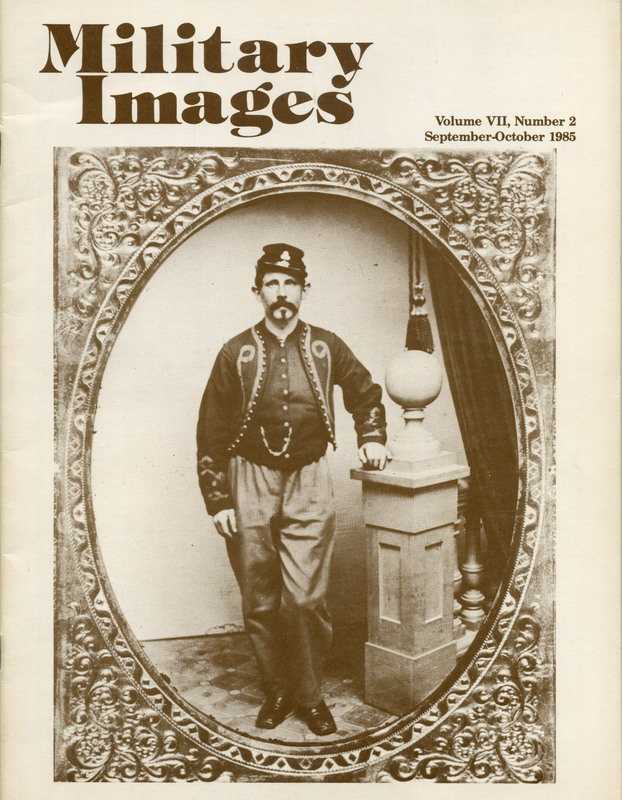 The image shown at the start of the article shows the traditionally garbed Zouaves of Lt. Col. George Auguste Gaston Coppens, although by the time they were attached to the Army of Northern Virginia under Brig. Gen. John Bankhead Magruder, they were wearing the more traditional Confederate uniform. 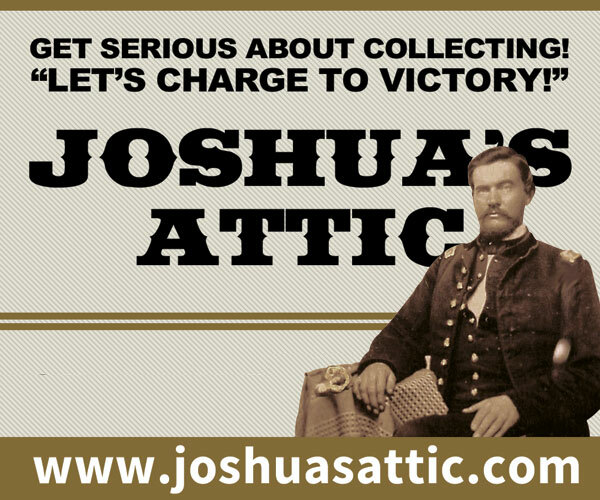 They fought well in 1862, taking part in Seven Pines, Malvern Hill, Second Manassas, Sharpsburg (Antietam), and other heavy fighting that left them almost obliterated at the end of the Civil War. 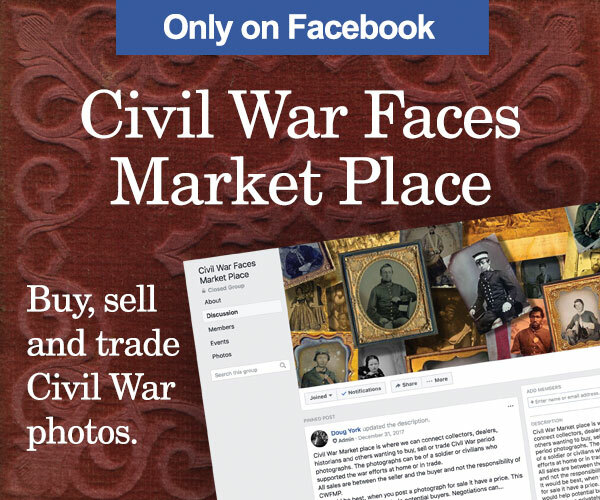 Walter Bruce Williams was the son of slaves who had relocated to Paris, Illinois. 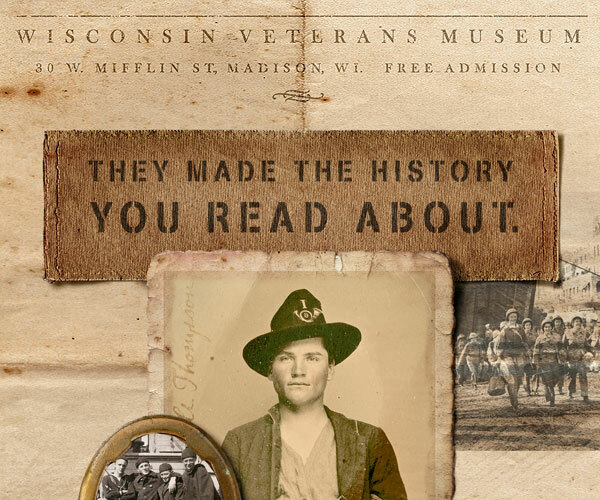 Following the footsteps of his father, who had become a railroader after the war, it was not surprising that Bruce, pictured with his future wife Ella, followed suit, which explained his entrance into the U.S. Army just prior to the Spanish-American War. He had been assigned to the 24th Infantry, one of the units known as the “Buffalo Soldiers.” Williams took part in the assault on San Juan Hill in Cuba. Their bravest effort was as volunteer nurses at the yellow fever hospitals after eight other units refused; Bruce Williams was afflicted with typhoid fever as a result. After recovering the 24th was sent to the Philippines, spending 1899 to 1901 in conflict with Emilio Aguinaldo’s forces there; Bruce Williams, however, was serving with the regimental band in Manila. He was promoted to the rank of Regimental Sergeant-Major in 1903, becoming one of four black soldiers holding this highest non-commissioned rank in the U.S. Army. The 24th was assigned to various posts within the United States with occasional tours to the Philippines until 1916 when the 24th Infantry accompanied “Black Jack” Pershing into Mexico to catch Pancho Villa. Black troops and black officers would be soon needed in the First World War, and Williams entered an all-black Officers’ Training Camp in 1917, becoming one of 105 captains to graduate. He was assigned to the 367th Infantry of the 92nd Division – the “Buffalo Regiment” – which was awarded the Croix de Guerre for valor by the French. After his retirement at the end of September, 1919, Walter Bruce Williams then returned to active service as Master Sergeant in 1921, leading the cadets at Lincoln High School in the JROTC program in Kansas City to much success. 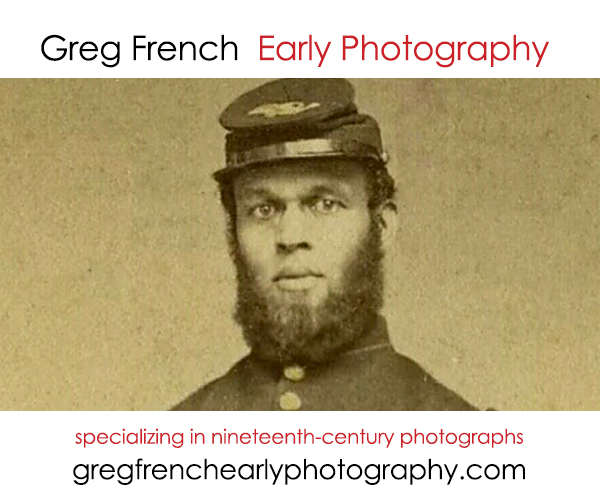 The serious soldier in the quarter-plate ambrotype image shows Oliver S. Daugherty of Co. E, 11th Indiana Infantry, “Wallace’s Zouaves” taken on April 28, 1862, three weeks after taking part in the Battle of Shiloh. 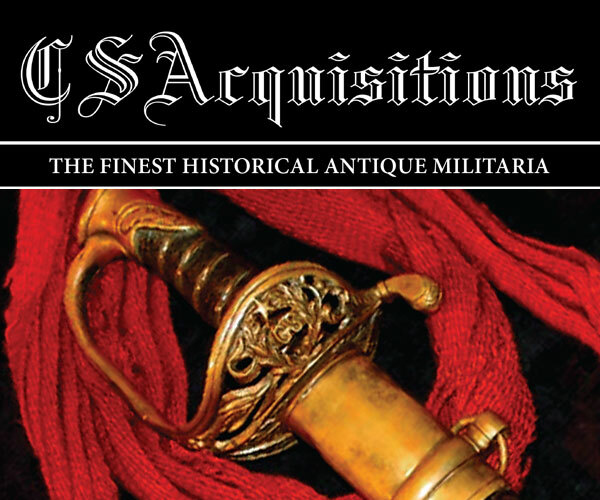 The vignette describes the first and second uniforms worn by Wallace’s Zouaves, as well as the background of its distinctive commander. 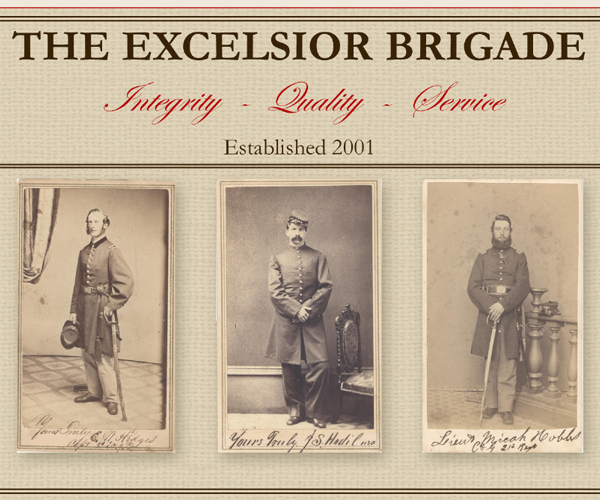 After serving at Donelson and Shiloh, Daugherty transferred out of the regiment to become a captain in Company K, 1st Regiment of Arkansas Volunteers, African Descent (later 46th Regiment of U.S. Colored Troops). 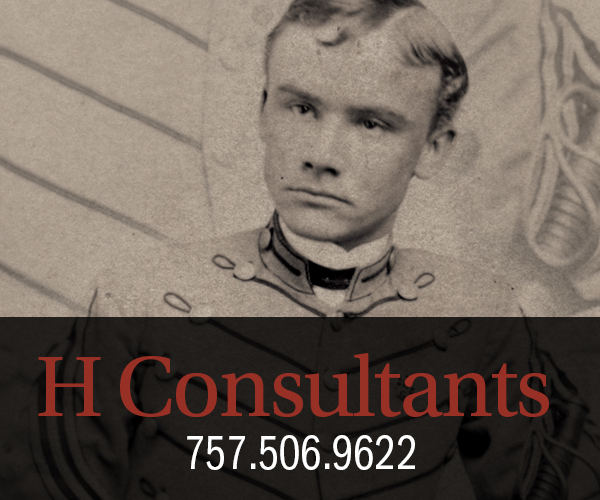 Dissatisfied with the service, Daugherty resigned in June 1864. 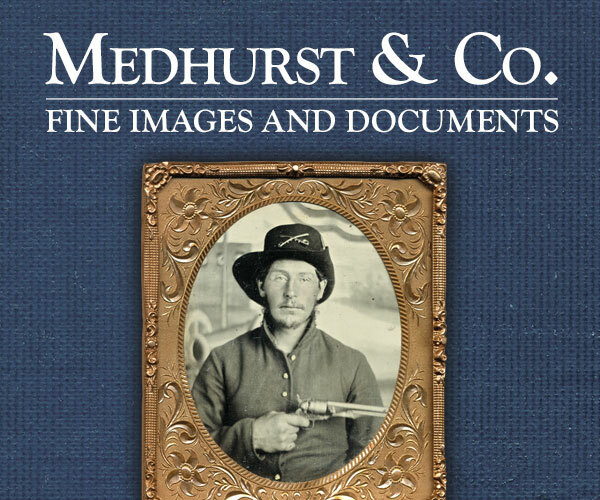 Four different publications are included, beginning with Custer in Photographs by D. Mark Katz. 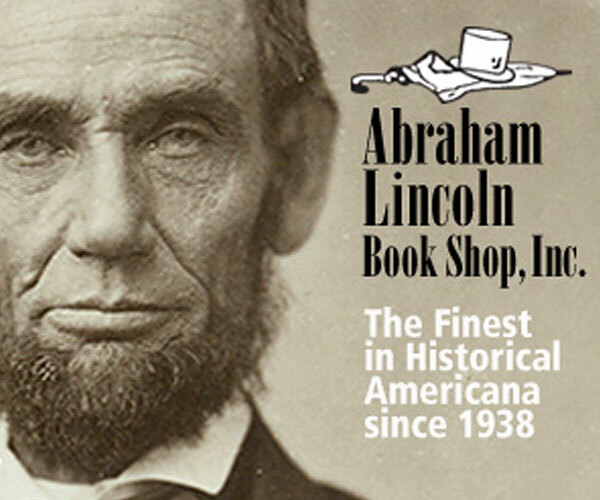 The book has two reviews, one of which has negative comments, but does provide some points of note that signifies some unique value in the book. The other pans the book, stating that it is disorganized and does not provide sufficient identification or information to show that the author delivers what he promises. 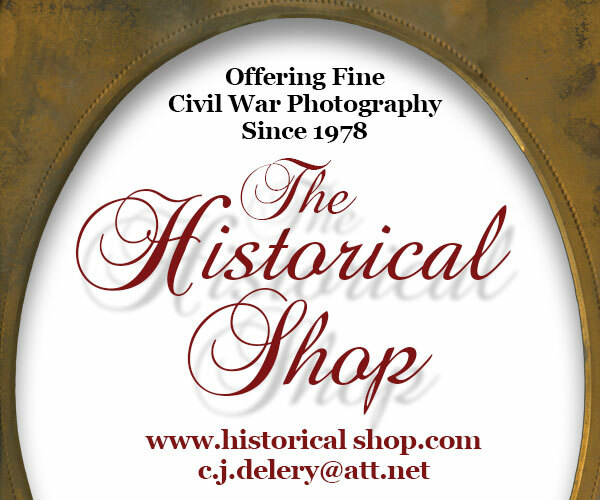 Next is With Crook in the Black Hills: Stanley J. Morrow’s 1876 Photographic Legacy by Paul L. Hedren. The author provides a photographic glimpse into the campaign of which Custer’s demise was but part. 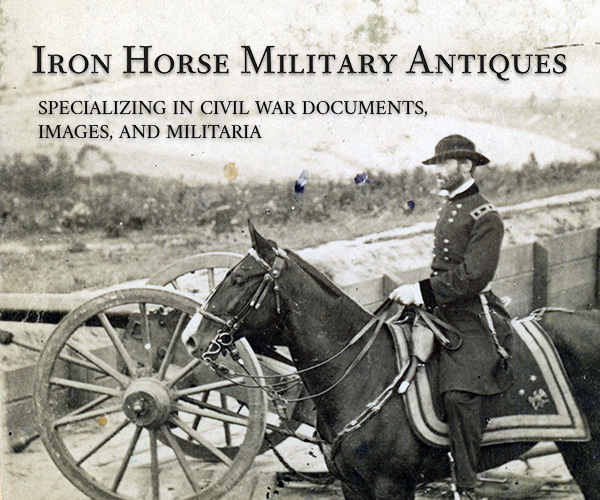 As noted by the reviewer, the result “is this small gem of a book.” Third is A Pictorial History of Civil War Era Musical Instruments and Military Bands by Robert Garafalo and Mark Elrod. 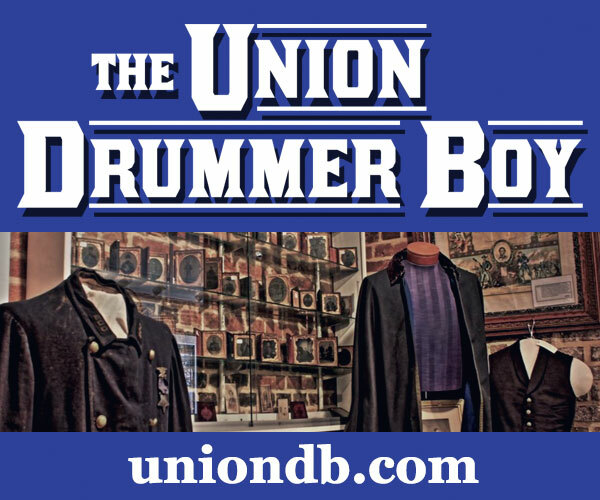 Complete with a small recording, the book provides a comprehensive identification of instruments and their manufacturers, some color images of drums and equipment, and images of bands and uniforms. The only reviewer regret is that it is not hard covered. 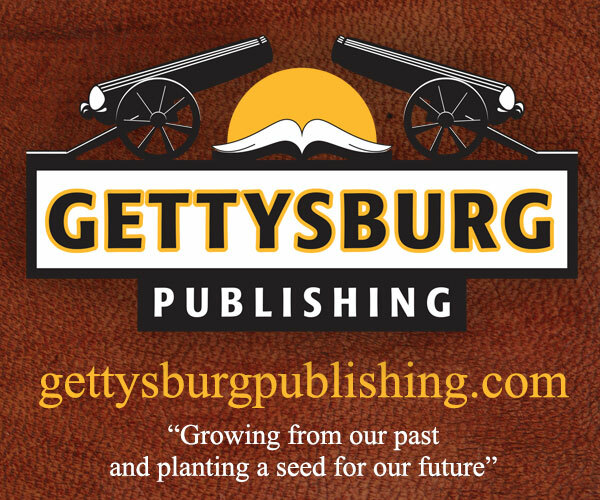 Lastly, From Manassas to Appomattox by General James Longstreet is reviewed. This reprinted volume is often considered to be dull reading, and the reviewer regrets that the general did not include insight into his reported sense of humor or provide the interesting life stories that make these types of works compelling. 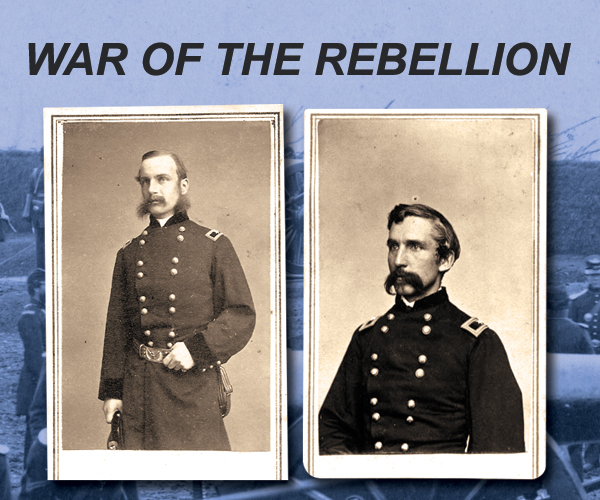 It is, however, a complete review of the major battles fought by the First Corps, supported by information about force strength, and gives insight into how the Confederate high command worked throughout the Civil War. 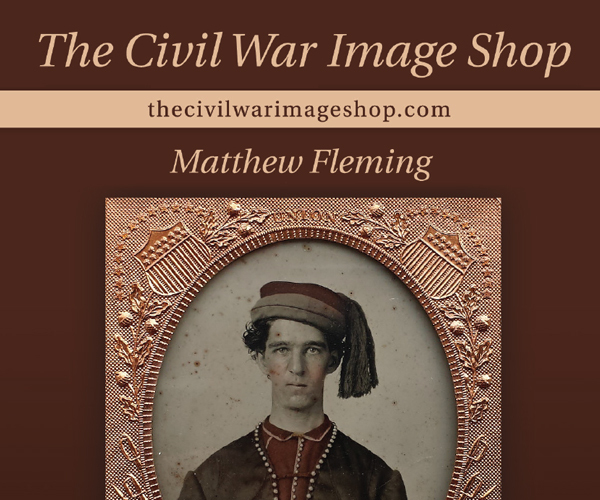 A quarter-plate ambrotype of a young Texas rebel wearing the insignia of the Ordinance Department.